Open. A grand late 19th century extravaganza by EC Lee, with a great urban spire, quite out of scale with the village. Naughty, but in the right spirit, as someone once said of somewhere else. Lots of excellent glass inside by the Maille workshop of Canterbury. EC Lee is best known for the Arts and Crafts church of St Thomas at Brentwood a couple of miles off, but here he seems to have enjoyed himself a bit more. 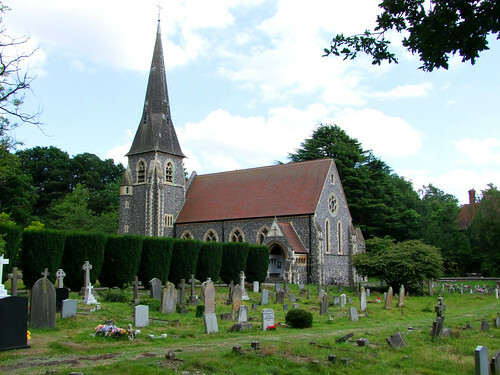 Bentley was carved out of South Weald parish, which until the 1870s also included the entire town of Brentwood.